The village is 8 klm from Kalambaka on the left-side of the river Pineios. Northern Sarakina, near the rock called ”Petra”, you can find a country church dedicated to the Holy Apostles. 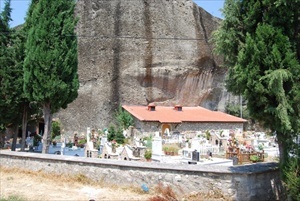 Also in the village is a church dedicated to St. Athanasios (1872). 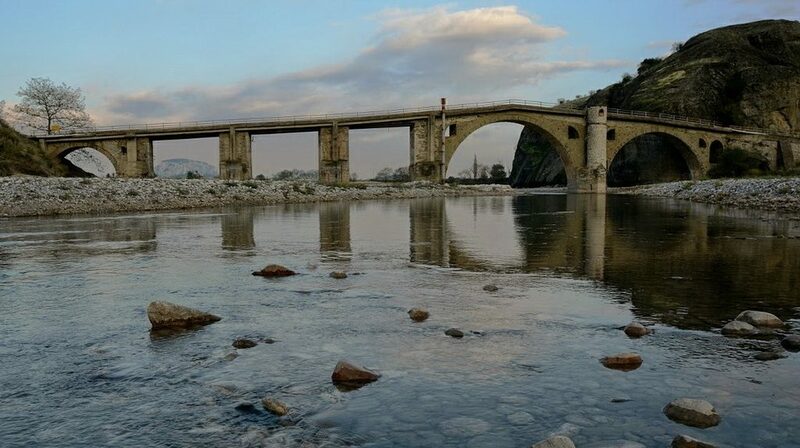 Sarakina is well known for its beautiful stone-bridge (15th century), important for the transportation to the villages of Pindos and Aspropotamos, also used as wells during the Turkish occupation. To build the bridge they used carved blocks of stone, some from older constructions. At the end of the 16th century-beginning of the 17th century was built the church dedicated to the Apostles Peter and Paul in contact with the adjoining rock. It has beautiful icon-paintings in the main church and the Holy place. It is believed that the icon painter was from the area, with the name George. The bridge was built in the 15th century by the Metropolitan of Larisa Bessarion the second. The bridge is found 1 klm North-west of the village Sarakina. The village celebrates on the 30th of June, the celebration day of the Holy Apostles, with music and traditional dancing. The celebration on the 30th of June with music and traditional dancing.